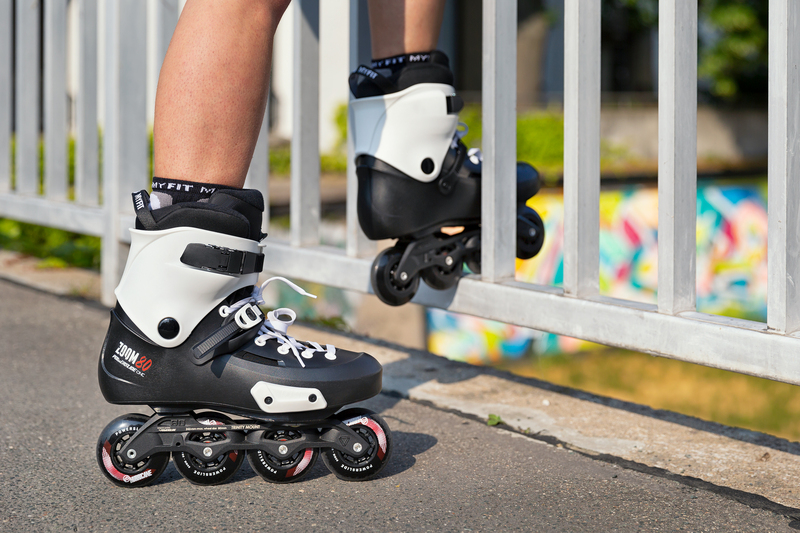 The Powerslide company introduced a new model of Zoom skates, intended for beginners. 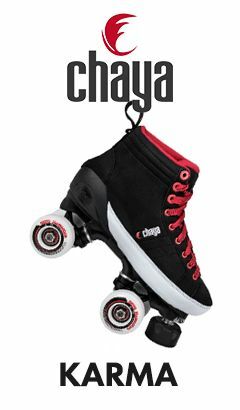 However, after the first tests it turned out that the new shell is also good for advanced skaters. ZOOM IS NEW SHELL IN POWERSLIDE FAMILY - A MIX OF USD - CLASSIC THRONE MODEL WITH NEW SOLUTIONS AND CLEAN, MINIMALIST DESIGN. Powerslide – Zoom comes equipped with a Trinity adapter, which in the future will also be offered for sale as a separate product. 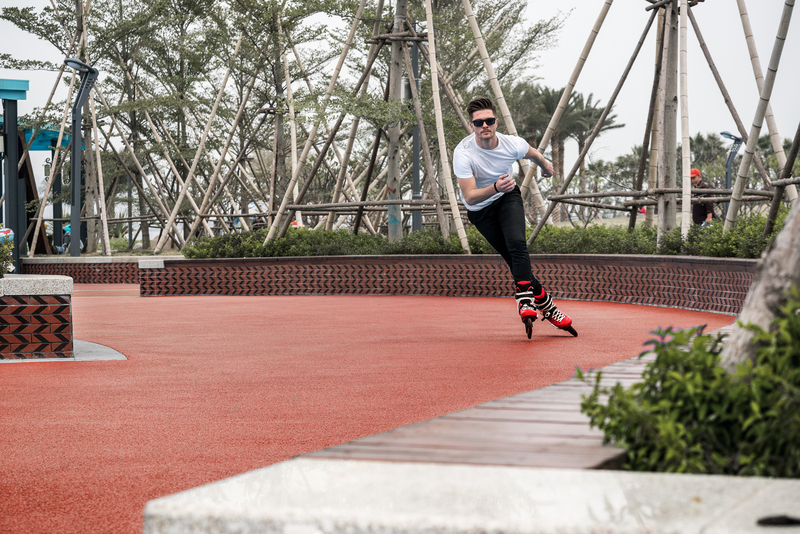 Thanks to this solution, Powerslide – Zoom skates can be fit any Trinity-mounted frame 3-wheel/4-wheel, speed or Off-road frames. 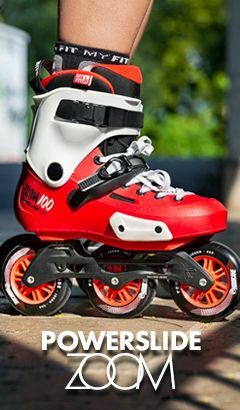 SHELL CONSTRUCTION OF POWERSLIDE ZOOM SKATES IN CONNECTION WITH THE TRINITY MOUNT GUARANTEE STABILITY AND GREAT ENERGY TRANSFER. 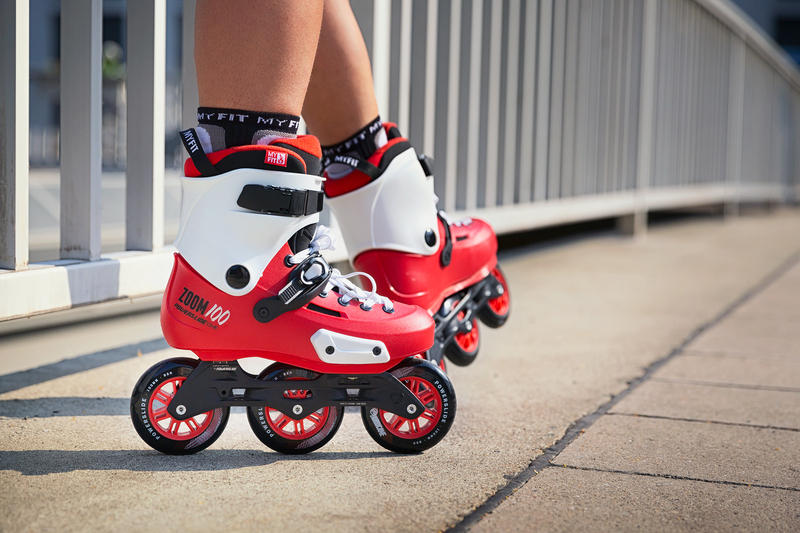 Powerslide – Zoom skates comes equipped with MyFit Basic liner with lacing option at the top. The liner can be easily laced with one shoelace through the shell. The MyFit Basic liner has a stretchy toes (Dual Size), making it easy and accurate to fit the right size. 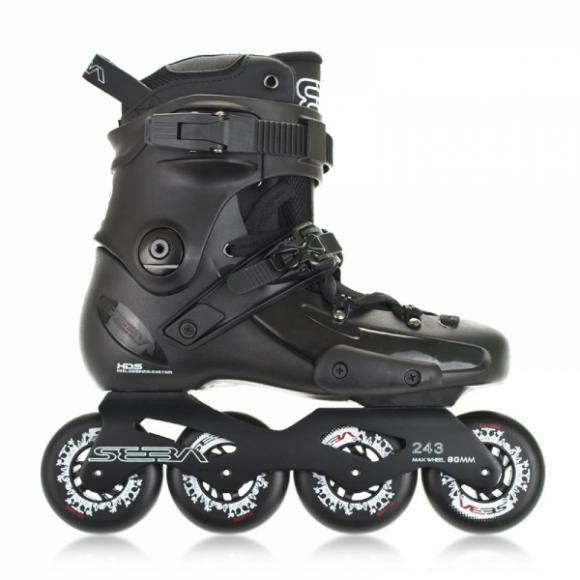 The Powerslide – Zoom buckle is proven solution used in other Powerslide skates. The 45-degree closure has been fitted with a new Force Buckle. 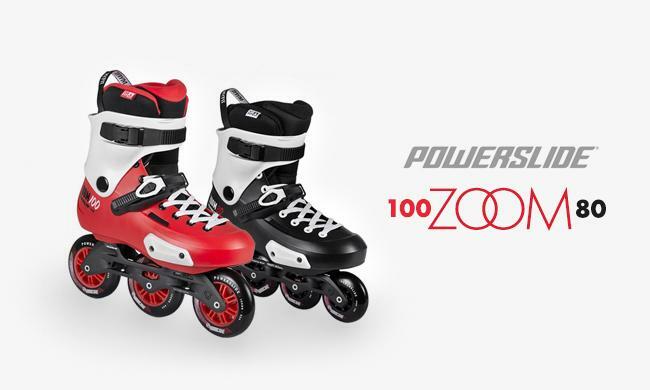 Powerslide – Zoom is equipped with a Powerslide – Elite Casted frames with Hurricane wheels and Wicked – Abec 7. 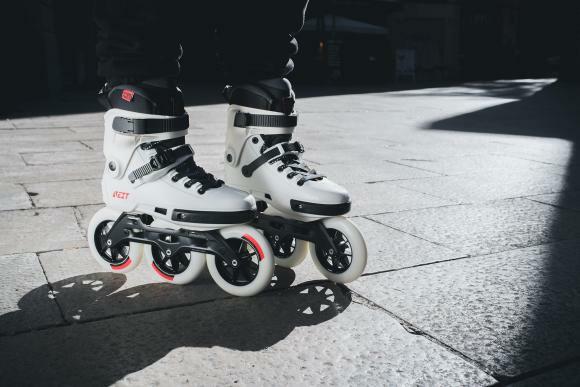 Powerslide – Zoom skates are a great option for people who have never had the opportunity to use Hardboot type skates and check the want to check Trinity mount potential. Great sets and very affordable prices.